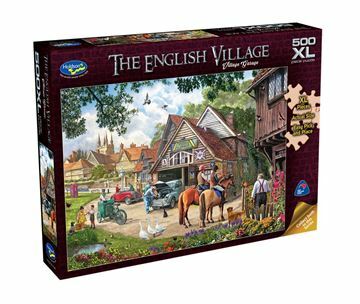 This Holdson 500pc XL The English Village series is the latest creation from artist Steve Crisp who paints these lovely British nostalgia scenes. 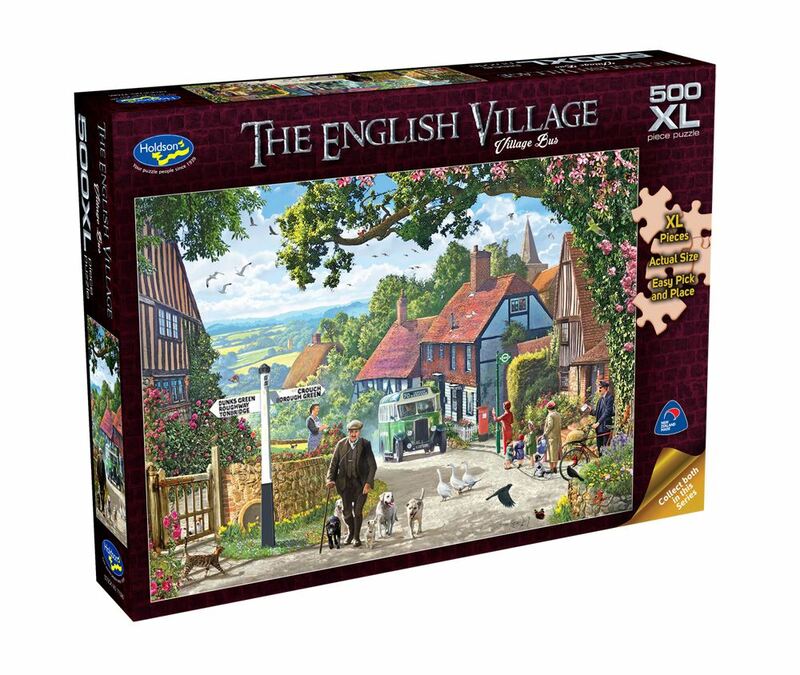 Step back to a simpler time with this title Village Bus which shows the beautiful English countryside looking down from the top of the lane. Titles include: Village Bus and Village Garage. Each design sold separately. Collect both designs. Age 8+ years. Made in New Zealand by Holdson. Approximate puzzle dimensions: 688mm x 493mm. Box size: 270mm x 370mm.